One-page reproducible tests to evaluate student musical skills. 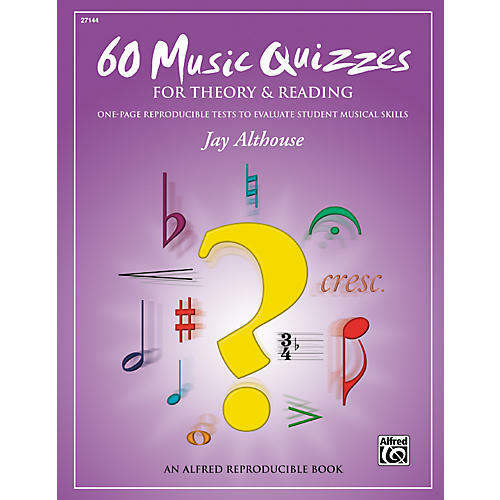 This book contains 60 one-page quizzes on a variety of subjects related to beginning music theory and reading. Includes sections on The Basics, Rhythm, Note Names, Key Signatures, Musical Symbols and Terms, Time Signatures, Keyboard Identification, and Musical Puzzles.